I recently finished up my final day working at Fifth Letter as a marketing strategy intern. To sum up my time in one word, I’d choose “heartfelt.” This might be because sentimental is my default. However, the care that each member of Fifth Letter has for their work and their clients was palpable. The team aims to provide excellent services for each client. I don’t come from a graphic design background. In fact, if you asked me to draw a self-portrait it would be a stick figure, in which the circular head would not connect. Nevertheless, I’d consider myself a fan of aesthetics. Nice paper, well spaced type, and complimentary colors are just a few of the things I appreciate. Throw in the creators of that artistry who are friendly, hardworking, and just a pinch saucy, and I’m in good company. Luckily for me, that’s exactly what I found at Fifth Letter. Since I wasn’t behind a sketchpad whipping up designs, one might wonder, what wereyou doing for Fifth Letter? Well, quit your questioning, because there was a bunch of work to get done. To-do lists grow at Fifth Letter, they don’t get smaller, and not because tasks are neglected. Similar to any active business, Fifth Letter is playing multi-dimensional chess. Finish one assignment, move one piece, and a plethora of new opportunities are exposed. The Fifth Letter team accepts these new duties enthusiastically. Similar to my favorite Kierkegaard quote, “Anxiety is the dizziness of freedom,” the team of five (including myself), viewed hectic days as days which the most impact could be made. Design is a multi-faceted endeavor. It isn’t nearly as important that the end service is admired by the creator. The design must be loved by the client. Getting the latter result takes planning, research, and data. None of which the team is afraid of. I’m studying Media Analytics at Elon University, and have a special place in my heart for data-driven insights, so this was particularly exciting for me. Take websites, for example. A client can be happy with the design of their site. That’s all well and good. However, what the client is going to be most delighted with is a website that generates lots of traffic and contributes to the bottom-line. Fifth Letter is well aware of this. They ensure that each site is developed with beneficial search engine optimization (SEO) practices, and designed with the user in mind. For example, 1 in 5 people in the United States have a disability. These disabilities can make it difficult for such individuals to peruse websites with ease. This is because many websites aren’t A11y verified. However, Fifth Letter is making it their mission to make websites intuitive, accessible, and appealing for all. Being a part of this movement was very special to me. I will always look back at my time at Fifth Letter with satisfaction. The team was welcoming, eccentric, and just my kinda people. If you’re looking for a place to learn a bit about design, business and, well, life, you can’t ask for a better internship experience. 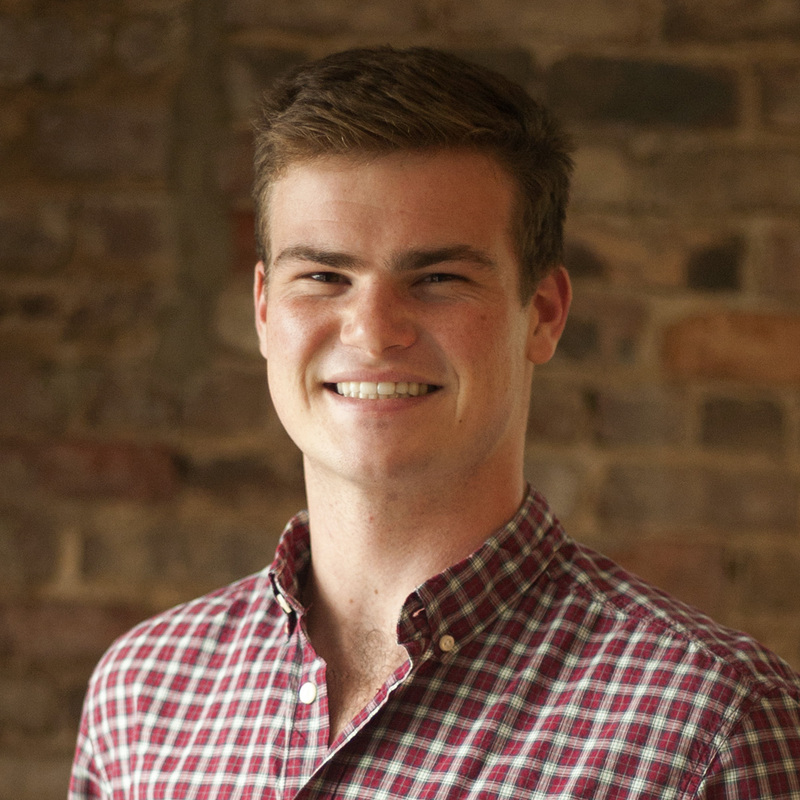 Charles Perschau, an innovative optimist with his eye on the prize, will graduate from Elon University in the spring with a degree in Media Analytics.